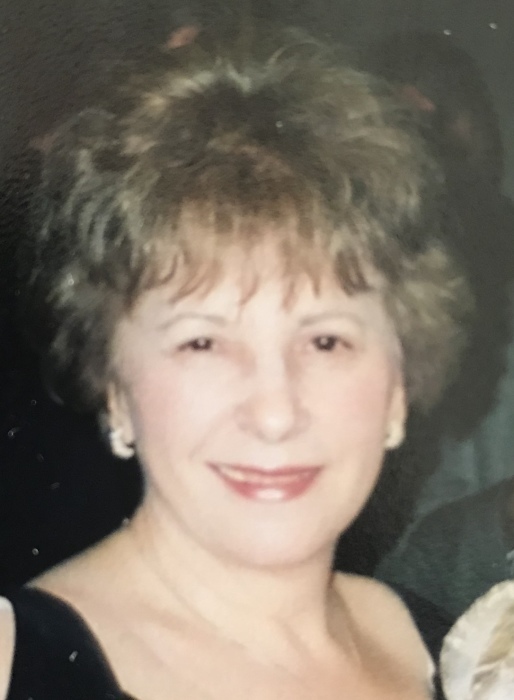 Anna Maria (Micheli) Innocenzi, age 74, of Raynham, passed away peacefully on Friday, January 25, 2019 in her home, surrounded by her family, after a prolonged illness. Anna was born in Ceccano, Italy, where she was raised until the age of 18. She then married and moved to the United States in 1962. She was the daughter of the late Domenico and Mariana Micheli, and raised by the late Salamina Micheli after the passing of her mother, Mariana. Being the matriarch of the family, Anna always loved being surrounded by her family. She was an avid New England Patriots fan, but more importantly, a Tom Brady fan. She enjoyed cooking, gardening, and spoiling her grandchildren. Anna was both a passionate singer and dancer. She could always be found grinning from ear to ear as she sang to herself, preparing the perfect Sunday dinner for her family and friends. That grin was contagious to everyone around her, always being able to bring out the best in others. She was a devout Catholic and enjoyed attending services at St Ann's Catholic Church in Raynham. A devoted wife of 56 years, Anna is survived by her loving husband Raymond. A loving mother, she leaves behind her children, Victor Innocenzi of East Taunton, Maryann Sherman and her husband Arnie of Raynham, and Patricia Keaney and her wife Melissa Melvoen of Falmouth. She was the beloved grandmother of Brian, Jeffrey and Adam Sherman of Raynham, Kristina and Franco Innocenzi of East Taunton, Samantha Johnson of Easton, Amanda Chipman and her husband Beau of Sagamore Beach, Cameron and Shawn Keaney of Falmouth, and Jack and Kenny Houghton, also of Falmouth. Anna was also survived by her siblings, Graziella Micheli of Castel Madama, Italy, Luisa Micheli of Rome, Italy, Mario Micheli and his wife Rita of Naples, FL, and Giovanna Gallego and her husband Edward of Taunton. She leaves behind many aunts, uncles, cousins, nieces, nephews, and friends. Visiting hours will be held Monday, January 28th, 2019 from 5:00 to 8:00 pm, in the Silva Funeral Home, 80 Broadway, Taunton (at Saint Mary's Square). Her funeral will be held on Tuesday, January 29th, 2019 at 8:30 am, from the Silva Funeral Home, 80 Broadway, Taunton (at Saint Mary's Square). A Mass of Christian Burial will be celebrated at 10:00 am, in St.Ann's Catholic Church, 660 N Main St., Raynham, followed by burial at St. Joseph Cemetery, 475 E Britannia S.t, Taunton.